A dry larynx is pictured on the right. 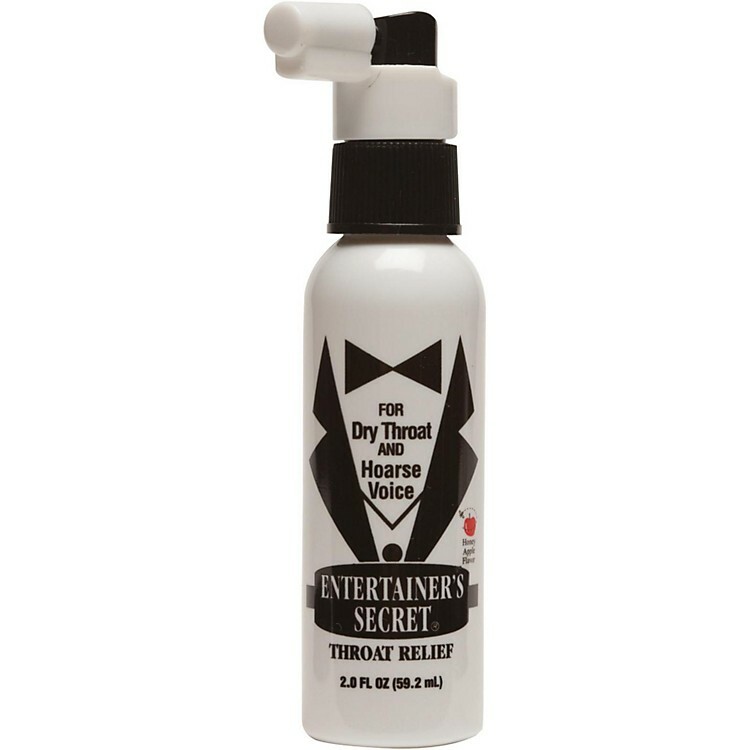 The photo to the left is the same subject's larynx after he sprayed Entertainer's Secret. A professional's trained eye can see that the larynx on the left is more elongated and relaxed, but anyone, professional or not, can see more white spots on the left photo. These spots are reflections of light (much like the reflection of street lights on the road on a rainy night) that are picked up by the fiberoptic camera. The moisture is from the Entertainer's Secret and it is sticking to the surface of the vocal folds and keeping them moist. Safe, efficient and fast acting. Improves comfort and helps restore vocal quality. Supplements the throat's natural moisturizing lubricants.